An amazing interactive comic about the black, gay, boxing world champion in the 1930s for web and mobile. Available in English, French and German. Panama Al Brown: Mysterious Strength tells the story of a fantastic boxer and featherweight world champion who hated boxing. He was a sensation in Paris from 1926 to 1938. He was an undisputed master of his art, but he detested boxing. He’d rather play music. He was a talented performer and a lover of champagne and opium. He loved to neglect his training to spend more time with his celebrity persona. Yet as a homosexual in a world where true masculinity was the norm, and as a young black man in the United States in the early 20th Century, he was a loner, who lived an extraordinary life. Panama Al Brown: Mysterious Strength blends documentary and fiction in an interactive comic that is made for both desktop and mobile devices. The comic is available in English, French and German and can be read online for free. Alex W. Inker is graduated Institut Saint-Luc in Brussels, where he finished his Master in Cinema. 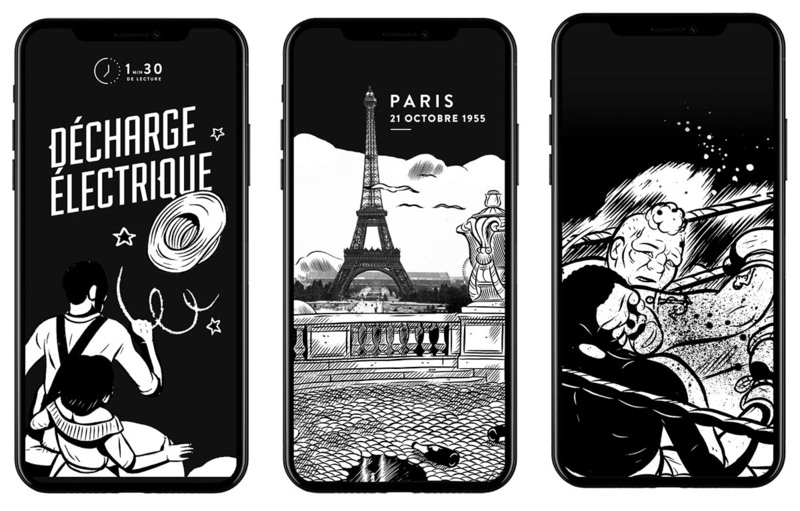 Next to being an artist, he also is a teacher at Lille University, where he discusses with his students the connection between cinema and comics. Camille Duvelleroy is a writer and director of interactive and transmedia stories. She has over 10 years of experience in transmedia storytelling. She helped develop more than 15 interactive programs; from documentaries, to music and fiction. She is also the creator of the immensely popular Instagram comic ÉTÉ. After studying philoshophy and aesthetics, Jacques Goldstein worked on tv documentaries. His themes deal with the relationships between black and white culture, exile and creation, music and society. Story: Jacques Goldstein, Story and drawings: Alex W. Inker, Direction and interactive story: Camille Duvelleroy, Music: Charlie Adamopoulos, Graphics adaptation: Benoît Etcheverry, Documentation: Caroline Blache, Developer: Novelab. Production administrator: Emanuela Righi, Production administration: Guil Ymar, Production assistants: Margot Meyer, Woudé Diaby, Denise Viera, Thomas Chavagneux, Emma Ladevèze, Production manager: Annouk Guerin. With support from Centre National Du Cinéma Et De L’image Animée – Fonds Nouveaux Médias. With support from La Région Occitanie / Pyrénées-Méditerranée, en Partenariat avec le Cnc. et de la Ville de Paris.